Getting sucked into an argument is one of the most intense feelings––it is as though you’re losing control of yourself and forced just to keep the argument going. When you’re in that mindset, you just want to win the argument. That’s not what this video is about. 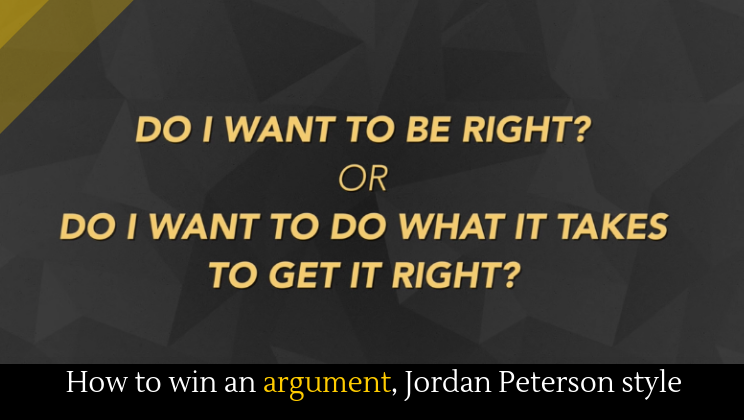 This video is about how to argue like a grown up––the goal is not to beat your opponent, but to solve the problem at hand together.